Methane is a combustible natural gas. At active or formerly active oil fields, dairy farms, and landfills, methane accumulations are observed in the pore spaces of these sites’ soils. 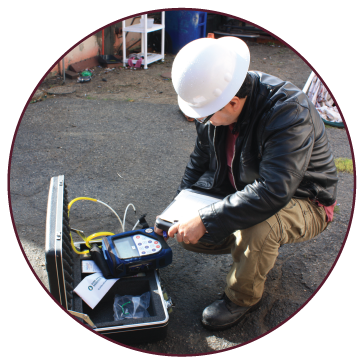 To confirm the presence or non-presence of methane accumulations in a determined site, it is necessary to conduct a methane test. 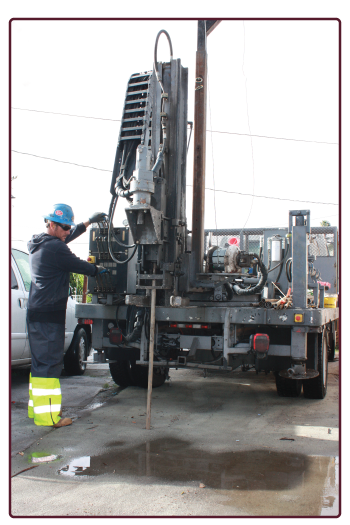 Los Angeles and the greater Southern California area have trusted AES for 25 years to provide such geological services. If you are planning for construction on a location whose former uses point to a possibility for methane accumulations, get in touch with our office; we can provide you with the methane report you need for the best carrying out of your plans. Methane, due to its explosive nature, can create very unsafe conditions when present in high concentrations and/or pressures underneath building structures. In order to prevent potential fires and explosions, the City of Los Angeles and many surrounding cities and counties have mapped specific geographical areas onto a Methane Zone or Methane Buffer Zone. 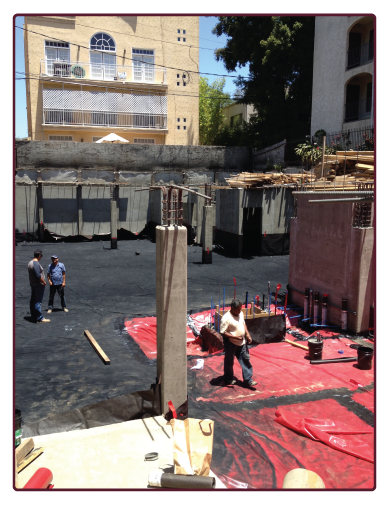 When a new building is proposed for construction or when certain additions are to be made to existing buildings within these zones, regulatory agencies require that the subsurface soils be investigated for methane and other soil gases. AES often performs methane tests concurrent with geotechnical report, as well as Phase One Environmental site assessments, to save time and money. A Soil Gas Investigation consists of drilling, soil sampling, monitoring well installation, testing of the soil gas concentrations and pressures in the subsurface soils, and preparation of a Report. During the investigation phase, not only the concentrations/pressures of methane gas are measured at the project site, but the study of the soil/rock strata enables the geologists and engineers to evaluate the potential for future accumulation of methane beneath the proposed structures. When conducted together with a Geotechnical Investigation, a Methane Investigation will be most cost effective and expedient. In addition to methane testing and methane mitigation design, AES also provides methane barrier deputy inspection. This is an important function which is required in several cities where soil gas is a major hazard. Our deputy inspectors are also our system design engineers, so we provide valuable consultation during construction and installation of methane mitigation systems, as well as inspection and field testing services. 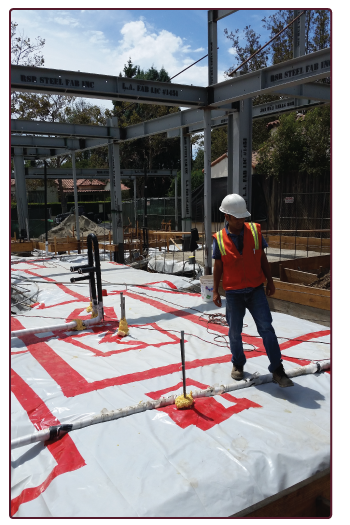 To protect structures and lives from potential fires/explosions resulting from unsafe accumulation of methane gas underneath buildings, the City of Los Angeles and many surrounding cities require buildings within the Methane Zone or Methane Buffer Zone to have appropriate Methane Mitigation Systems. For your building project, AES geologists and engineers will design a customized Methane Mitigation System that incorporates the required Standards and Codes for safety, for the Site Design Level that is determined from site testing. 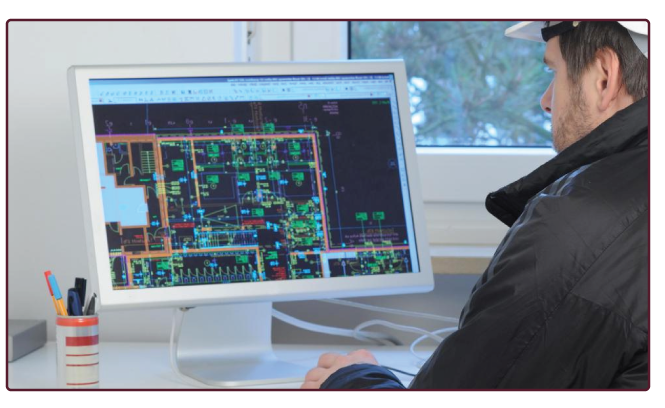 Moreover, we will utilize our expertise and extensive knowledge of the available exemptions to the code, in order to provide you with a cost-effective design that reduces your construction costs.